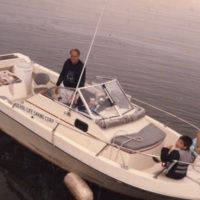 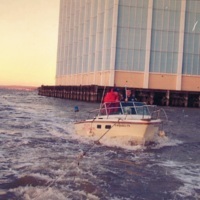 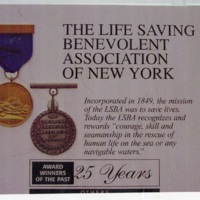 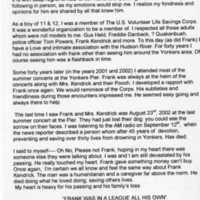 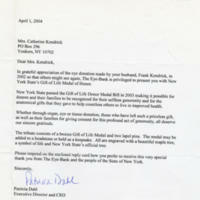 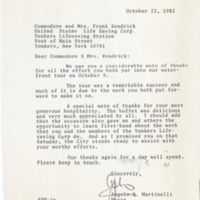 Document from Fred Danback, Vice Admiral and co-founder of the Yonkers Chapter of the United States Volunteer Life Saving Corps, officially transferring Kendrick's boat to the YFD. 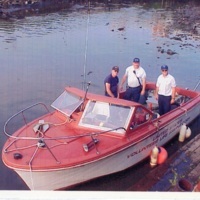 Three men are aboard Frank Kendrick's boat that was donated to the Yonkers Fire Department after his death. 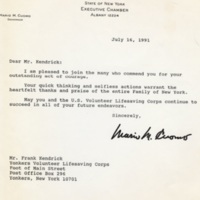 Letter commending Kendrick for his service in the U.S.V.L.S.C. 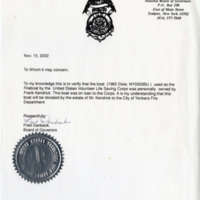 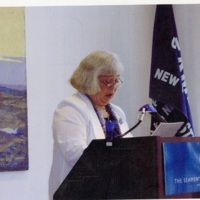 The letter is dated July 16, 1991.